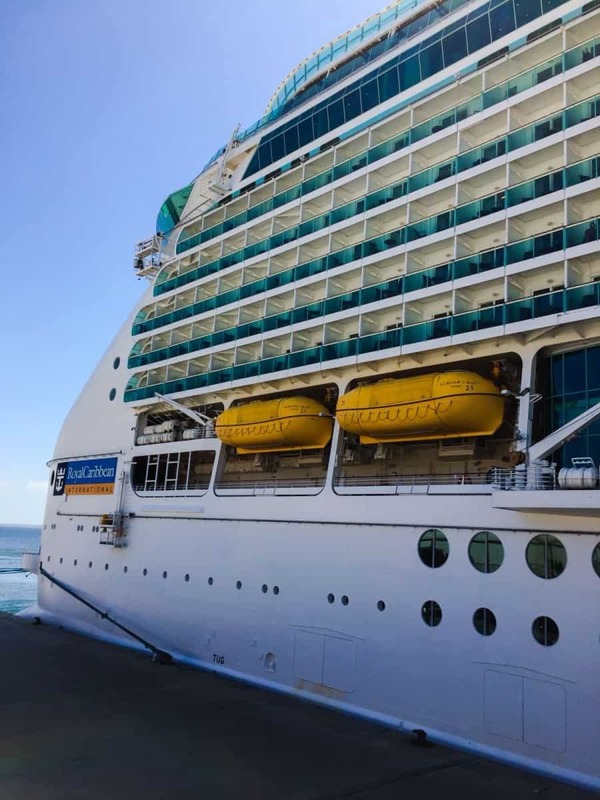 Welcome to day five of our daily updates from the Navigator of the Seas. Two of our editors, Lisa from Travel Loving Family and Claire from Tin Box Traveller are reviewing the largest retro music festival at sea. Lisa is bringing you today’s update from a very sunny Lisbon! This morning was my favourite morning onboard so far! My son and I rolled out of bed and enjoyed breakfast on our balcony whilst still wearing our PJ’s. The late nights in kids club are beginning to catch up on him so it was such a treat not to have to rush him around especially as we were not due to arrive into Lisbon until 11am. (I was really surprised to find that continental breakfast by room service is a complimentary service with hot breakfast items costing just $7.95 per room delivery, I think this is exceptionally good value for money). We watched the ship sail under the 25th April suspension bridge from up on deck (she seemed to just scrap under with just inches to spare!) and joined Claire to take photos of our arrival into Lisbon port. 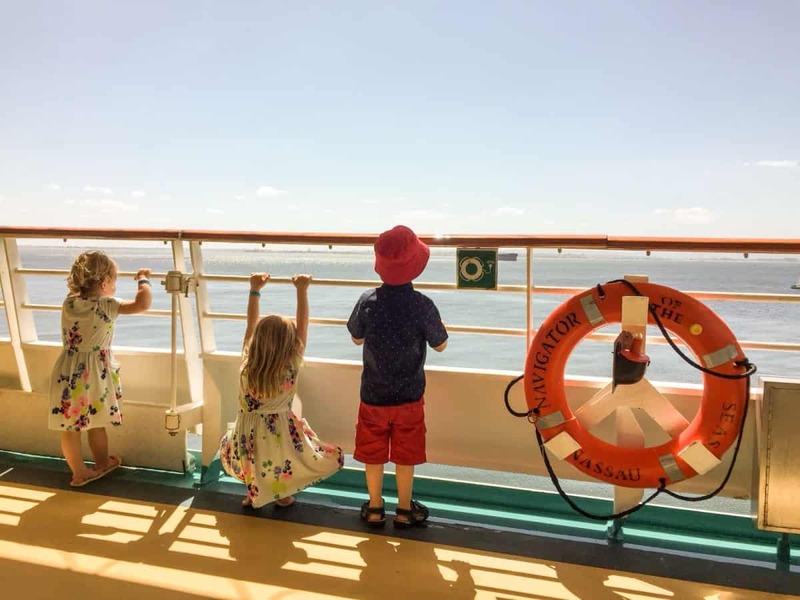 Lisbon is one of my favourite cruise ship ports in Europe, it’s a colourful vibrant city, with lots to keep kids entertained. It is however rather hilly and spaced out so as we left the terminal building we flagged down a tuk tuk driver for a tour around the city’s main sights. It was the best $50 we have spent all cruise, a very bumpy and fun ride. All three kids loved it and were whooping and cheering much to the amusement of our driver! 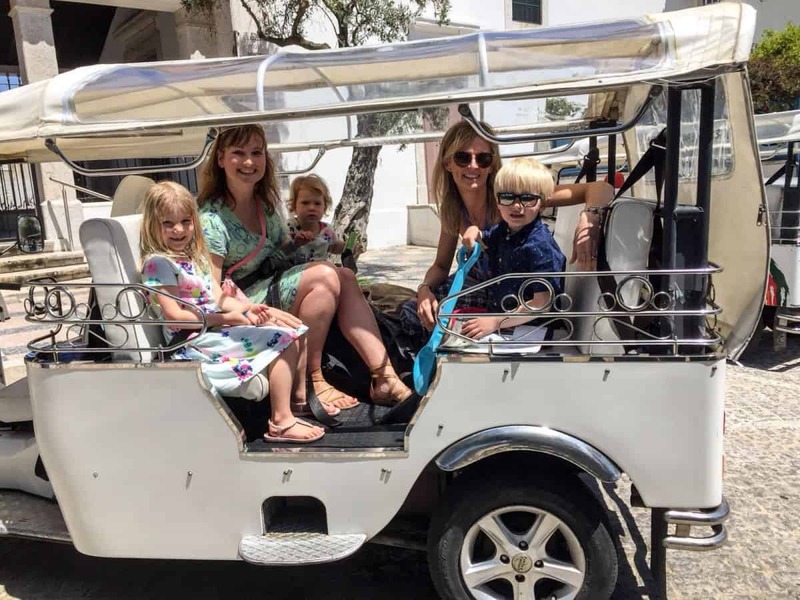 We passed by Lisbon’s Old Quarter, Commerce Square and Lisbon Cathedral before stopping for photos at Sao Pedro de Alcantara Belvedere for amazing hilltop views of downtown, Saint Georges Castle and the Tagus River. The kids by this time were pestering for ice cream and the beach (yep they do love the beach!) so that’s exactly how we spent our afternoon. The main beach is Estoril a fair drive away so instead we headed to Lisbon’s urban beach, it’s small but perfect if you wish to spend part of your day exploring the city and part of your day on the beach without straying too far from the port. We spent our evening dressed in 80’s icon fancy dress! Can you guess who we are dressed up as?! I’ll be honest it took a lot of courage to come out on decks dressed like this but it was so much fun. Everyone onboard had made such a huge effort with their costumes. We saw characters from Hi-de-Hi, a few Tina Turners, Wally and Wendy from Where’s Wally. There was a great atmosphere onboard. After dinner we watched Belinda Carlisle who belted out her classic songs and a few newer songs too. Claire and I were singing along at the tops of our voices and haven’t been able to get Heaven is a Place on Earth since! Check back tomorrow to see what we get up to as we head back towards the UK (boo!) And here is what we did yesterday in Vigo, Spain. 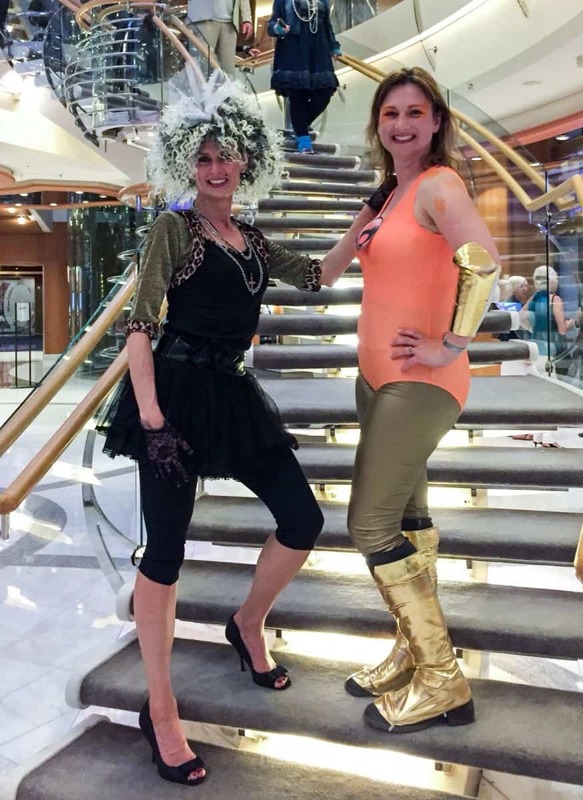 Now take a look at Day 6 of our cruise Back to the 80s.